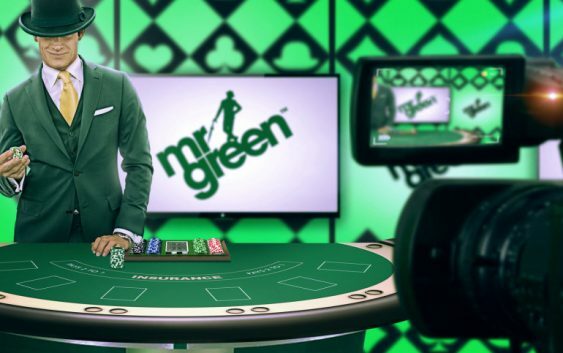 Mr. Green is a true definition of a beautiful gambling platform. It is easily noticeable with their mascot of Mr. Green in his green suit and bowler hat. The casino was established in 2008 and later the management shifted to Mr. Green and Co AB in 2012. Besides the appealing theme, the casino has abundant casino games including slots and table games. As a result of their exclusive services, the casino has won a number of awards including the Best Mobile Casino of 2016. As soon as you gain access to the platform, you will be stunned by the simple game lobby with a search engine for quick access. The games are offered by leading software developers like NetEnt, Thunderkick, and Microgaming. All the games can be played instantly on mobile phones like Android, iOS, Blackberry, and Windows thanks to HTML5 coding technology. Their collection includes table games, live dealer, video slots, scratch cards and many more. Online Slots: Wolf Cub, Legacy of the Wild, Mr. Green’s Grand Tour, Valley of the Gods, Moon Princes, Wild Wishes, Rainbow Ryan, Jack and the Beanstalk, Good Girl, Bad Girl. Table Games: Roulette Neo, Blackjack Neo with Suggestion, European Roulette, Perfect Pairs Blackjack, Expert Roulette, and Blackjack Pro Series. Progressive jackpot: Mega Moolah, Joker Millions, Mega Jackpot Siberian Storm, Divine Fortune, Hall of Gods, Legend of the Nile, Megajackpots Star Lanterns, and Mega Fortune. Live Casino Game: Live Speed Roulette, Live Baccarat, Dragon Tiger, Mr. Green Live Blackjack 3, Bucharest: Grand Casino Roulette, Live VIP Roulette, No Commission Baccarat, Salon Prive Roulette I, Ultimate Texas Holdem, and many others. Mr. Green casino has a different approach when it comes to the software selection. They offer games from multiple developers rather than single supplier like other platforms. This has helped them to offer the best games the industry has to offer. Moreover, the platform is only available in instant play mode. The casino features different game variations from Microgaming, Evolution Gaming, Play n Go, NetEnt, QuickSpin, and Isoftbet. Mr. Green platform is intuitive and simple to navigate. Mr. Green has generous bonus offers and promotions for new players who make their first deposit. New players get a welcome bonus of up to $350. The casino has a VIP program where players enjoy benefits like personal account manager, exclusive promotions, and birthday gifts. 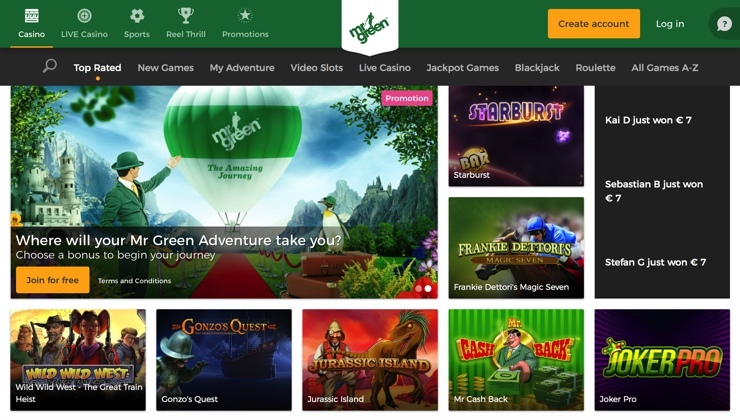 Mr. Green casino is a legal entity as it licensed by a recognized authority, Malta Gaming Authority. As well, it is secured with the latest 128-bit SSL data encryption to ensure that all your transaction and personal information is protected from hackers. Mr. Green is committed to providing the player with a fulltime support team to ensure that all questions have been answered. The agents can be reached via email. Live chat and phone.